A number of customers have been dropping by the Store over the past few days buying Digitrax DCC Systems. We usually recommend three DCC How To Books from Kalmbach. We also have a Video from Kalmbach that explains the basics of DCC. While talking to Kalmbach this afternoon they explained they actually now have three DCC - How To DVDs. You can see them below. We also learned about a new Video from Kalmbach that will most likely be of interest to our customers who model BC. Its called Drew's Trackside Adventures Vol 4. Drew Halverson ramps up his trackside excitement for his biggest adventure yet! Drew, along with Kent Johnson and pilot Charlie Conway, shares a look at rugged railroading in some of the most beautiful scenery in North America – the Thompson and Fraser River Canyons in British Columbia. 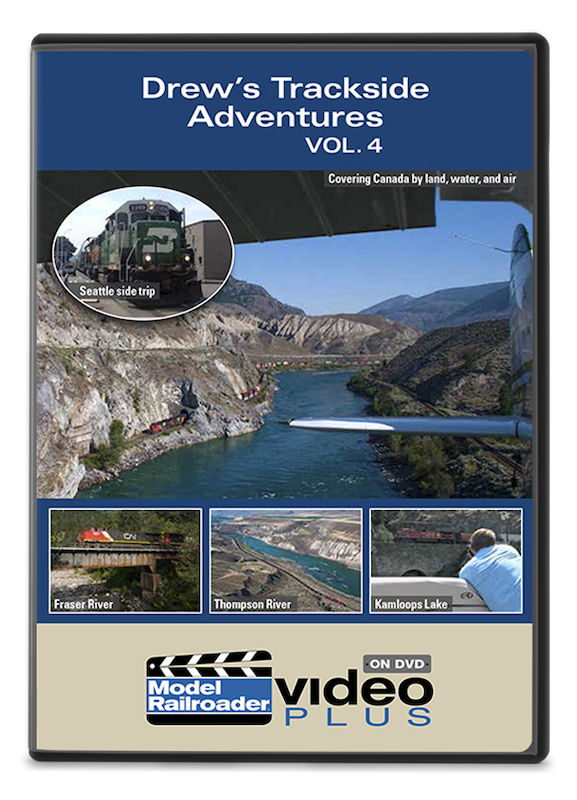 Don’t miss all the fun as this railfan trio takes you along by car, plane, foot, and even boat to chase trains in a variety of spectacular hard-to-reach locations.